The 125mm Coarse Thread Streak 2mm Filter from Tiffen is a special effects filter designed to render a single light ray from a point light source. This filter features a single series of etched lines spaced 2mm apart from each other, which run diametrically across the filter surface. This filter is set in a non-rotating mount and can be used in conjunction with a filter holder or other filter to adjust the orientation of the light ray to suit your composition or desired effect. It is constructed from clear optical-grade glass and mounted in an aluminum filter ring. Etched lines spaced 2mm apart produce a single ray of light from point light sources, strong highlights, reflective materials, or metallic surfaces. 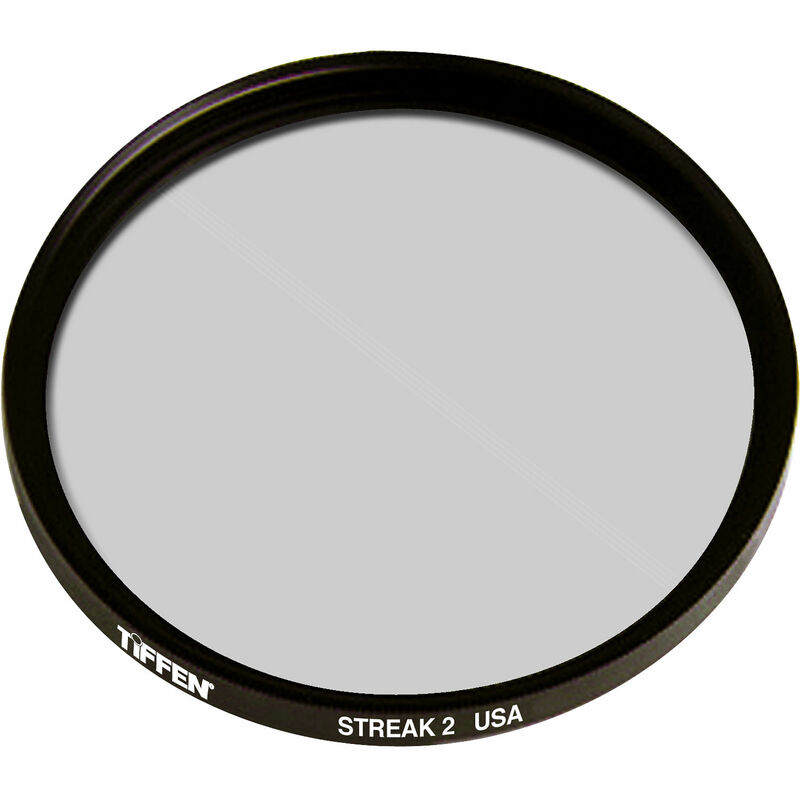 Filter is designed to be used in conjunction with an optional rotating mount or other filter for adjusting the orientation of the light streak. Optical glass construction and clear filter substrate help to maintain the original image quality and do not affect the overall color or contrast.